For those who are home, and for those who are on the way. For those who support the historic and just return of the land of Israel to its people, forever loyal to their inheritance, and its restoration. ...Since negotiations for a final settlement between the PA and Israel seem more unlikely than ever, in spite of international support for Palestinian independence, violence has once more become a popular means of applying pressure to Israel. It would be interesting to return to the original participants and see if or how support for violence has changed since 2012. Of course, the ongoing incitement in the PA will have to be accounted for at the same time. Perhaps that is another topic for study: the relationship between international recognition and state sanctioned incitement to violence. I am guilty of trying to convince myself that United Nations General Assembly acceptance of “Palestine” as a nonmember observer state is of no real consequence. And of trying to convince myself that UNESCO determination of our Jewish indigenous sites, the Temple Mount and the Cave of the Patriarchs, as, instead, sites “belonging” to Palestine are also of no real consequence. After all, neither the General Assembly (GA) nor UNESCO have the legal clout of the UN Security Council (SC). So I applaud those in the UN fighting to protect Israel against delegitimization while calming myself that nothing bad will come of it if they do not succeed. After all, what is the GA going to do? And then I discover two research articles examining whether or not UNGA recognition of Palestine matters to those living in the Palestinian Authority (PA). And the articles give me pause. They give me something about which to ponder a bit more deeply. Updates throughout the day at http://calevbenyefuneh.blogspot.com. If you enjoy "Love of the Land", please be a subscriber. Just put your email address in the "Subscribe" box on the upper right-hand corner of the page.Twitter updates at LoveoftheLand as well as our Love of the Land page at Facebook which has additional pieces of interest besides that which is posted on the blog. Also check-out This Ongoing War by Frimet and Arnold Roth. An excellent blog, very important work. ...Once again, that omission will not come as a surprise to those familiar with the BBC’s own failure to accurately explain to its audiences the meaning of anti-Zionism and the corporation’s repeated misrepresentation of that term. 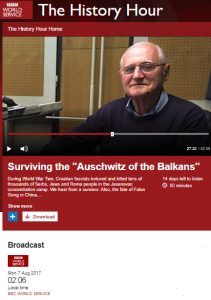 As readers may recall, back in July the BBC’s coverage of commemoration of the mass arrest of French Jews in World War II did not include any mention of the French president’s remarks concerning anti-Zionism. Moreover, several days later a regional BBC radio station described President Macron’s statement as a “very controversial claim” to its listeners. With all the press given over the Temple Mount, people tend to forget that the Palestinian Authority (and the Muslim world as a whole) is just as adamant that Jews do not have the right to pray or even be outside the Temple Mount as well. - Likud MK Yehuda Glick set up a symbolic office outside one of the gates of the Temple Mount. He sat in a chair. ...For the past 22 years, they have been residents of the Palestinian Authority, and they vote in Palestinian elections. They will never be Israeli citizens, will never vote in Israeli elections, and will never threaten Israel’s Jewish demographic majority. 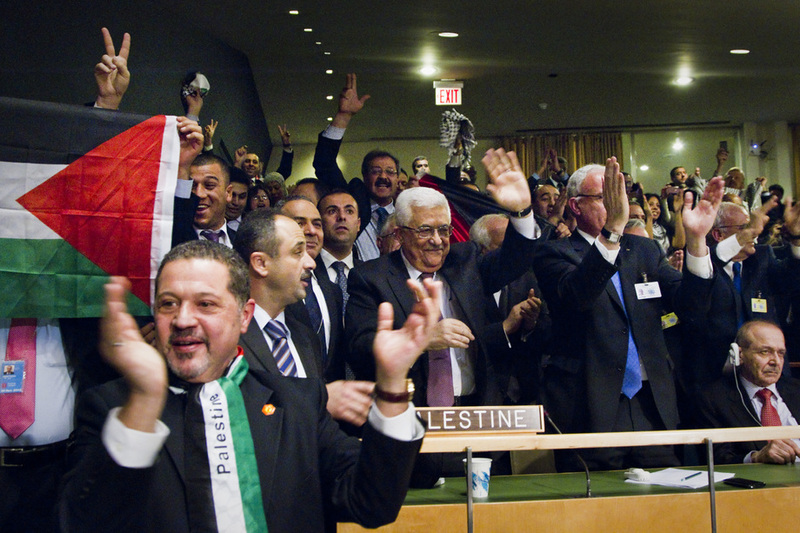 The old arguments for Palestinian statehood lie in tatters. The U.S. government's position simply reflects that reality. J Street, unable to face reality, is trying to change history to suit its agenda. The U.S. government's reluctance to demand the immediate creation of a Palestinian state has sent J Street into a panic. With its candidates having been defeated in elections on both sides of the ocean, and its proposals crumbling in the face of reality, J Street is trying one last desperate strategy: rewriting history so that it appears Palestinian statehood has been supported by everybody, everywhere, for as long as anyone can remember. Nauert's statement was simple, logical, and reasonable. But her failure to pledge a full-throated endorsement of the Palestinian agenda sent J Street into a tizzy. The J Street leaders fired off an overheated press release that declared, “For more than two decades, responsible Israeli and Palestinian leaders, U.S. presidents of both parties and virtually the entire international community have understood that a two-state solution is the only viable way to end the conflict." Literally, everything in J Street's declaration is erroneous. ...while experts can warn about the risks entailed by anticipated friction, it is the prerogative, indeed the duty, of the national leadership to decide how to confront that friction and make the most of its strategic potential. “Yea, though I walk through the valley of the shadow of death, I will fear no evil,” David sang in Psalm 23. This is the test of leaders, who make a conscious choice to enter the valley of the shadow of death even when their advisers warn against it. Of course, because it is they who bear the ultimate responsibility, their people and history will judge them by the outcomes of their actions. Maj. Gen. (res.) Gershon Hacohen..
BESA Center Perspectives No. 568.. The decision by PM Netanyahu and the Israeli cabinet to adopt the police recommendation for the installation of metal detectors at the gates to the Temple Mount following the murder of two police officers at the holy site sparked a wave of media criticism, which gained rapid momentum as the Palestinians responded to the decision with violent protests. The question heard more and more was how the prime minister could have ignored the warnings of the Shabak (Israel Security Agency) and the IDF against the detectors’ placement. It was as if a contractor had ignored an engineer’s recommendation for the quantity of iron that was needed for the casting of a roof. 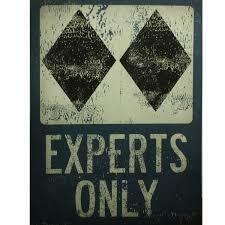 It is of course quite natural for concerned citizens to demand to know how government decisions are made. This is a basic issue in managing state affairs, as is the tension between the political echelon – which has the legal authority to make decisions – and the professional echelon. The fundamental question is to what extent national leaders are obligated to follow the recommendations of their professional advisers. Member of Knesset Tzipi Livni likened the government’s ignoring of the Shabak’s recommendation to ignoring a physician’s advice. But what does one do when one has to decide between opposing medical opinions? Even in relatively simple medical situations, like, for example, a slipped disc, a patient can be torn between one doctor who recommends an operation and another who warns against one. Sometimes, though, the vacillation has to do with a range of considerations far beyond the clear-cut domain of medical science. One quickly discovers that, while there are indeed technical questions that are entirely within the authority of experts, when formulating a decision and managing risks, not everything falls under the experts’ aegis. When it comes to managing policy in conflict situations, leaders have a unique role in that they bear the burden of responsibility. If they did not have to make decisions that go beyond what their professional advisers recommend, they would be reduced to little more than their experts’ puppets. Israeli history is fraught with tests of leadership, and in many cases, decisions were made that flew in the face of expert opinion. 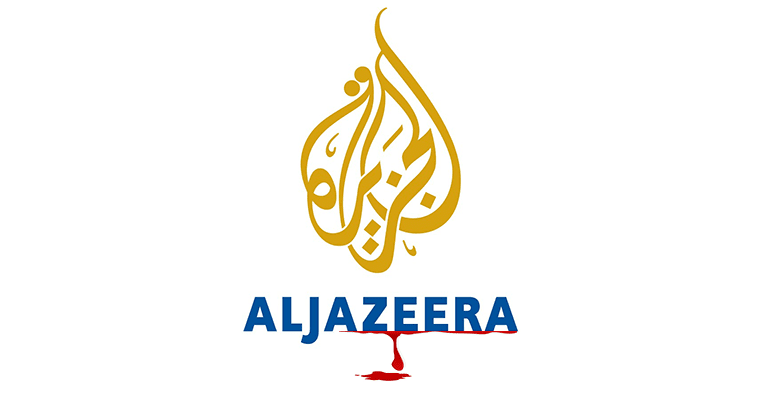 ...Al Jazeera is now putting Jews, and Israel supporters around the world in direct personal danger through an act of illegal defamation. Perhaps the GPO should indeed move forward with their original plans: both for Karam and for the entire Al Jazeera bureau. Defamation and incitement to violence is not “journalism” and it is not “free speech.” It is just plain wrong. 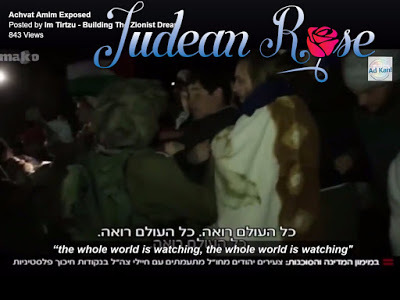 Jews and other Israel supporters around the world work for the IDF in the same manner as fighters in the Syrian civil war: committing war crimes, both as volunteers and paid mercenaries on behalf of the Jewish state. That’s the underlying message of an Al Jazeera “documentary” (it’s actually closer to a work of fiction) that skews context, overtly mistranslates statements, and even repeats outright lies in order to create this illusion. 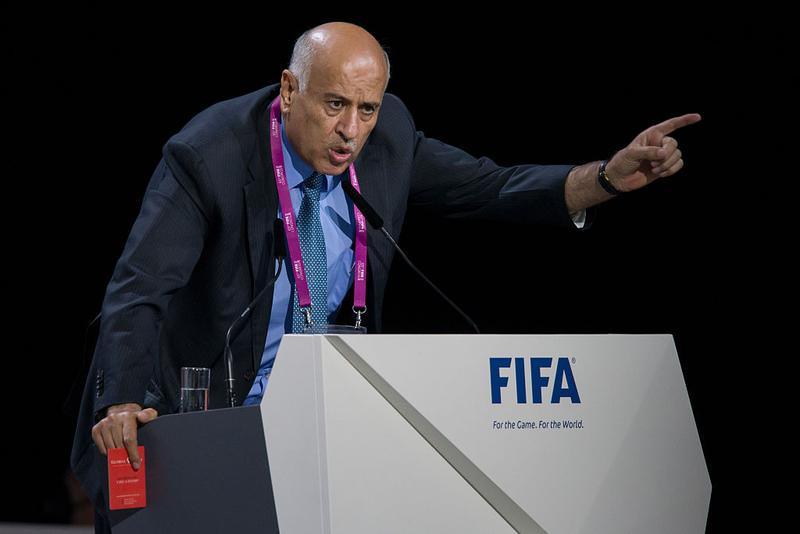 ...Swift action must be taken to remove Jibril Rajoub from his posts, and the Palestinian Authority needs to be pressured to replace him with someone whose passion for sports and sportsmanship exceeds that of his lust for Jewish blood. If this is not undertaken, FIFA should oust the Palestinian Football Association (PFA) from its ranks. In its latest violation of the International Olympic Committee's Code of Ethics in particular and the spirit of sports in general, Palestinian boxer Sultan Abu Al-Haj recently forfeited a match because it was against an Israeli -- Druze contender, Amit Madah. "I didn't make the decision. It's my coaches and the [Palestinian] Olympic Committee that made the decision, and as an athlete, I cannot oppose them...The decision was reached that it is forbidden to compete with [Israelis] because it's beneath my dignity and dishonorable to compete with them and recognize them [sic] the State of Israel." ...Did you go up to the Temple Mount and have the police treat you like a criminal? 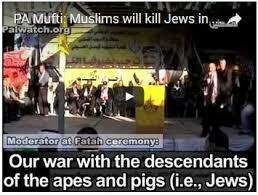 Do you find the weekly sermons by imams at mosques all over the country in which they describe Jews as descendents of apes and pigs insulting? Do the maps published by the Palestinian Authority which erase Israel make you feel “unsafe?” Call the hotline or fill out the form. The strategy of the US Reform Movement along with home-grown leftists to introduce an American-style obsession with “racism” into Israeli consciousness shows just how far from understanding regional reality these people are. The movement’s Israel Religious Action Center (IRAC) plans to document incidents of racism in Israel and sue the perpetrators in court, following the model of the discredited Southern Poverty Law Center in the US, which – despite illegitimately multiplying the numbers of right-wing “hate” groups, counting Christian, conservative, and anti-jihad groups and individuals as “hate groups” or “extremists,” and minimizing or ignoring Islamic, black and left-wing extremism – has managed to get itself treated as an authoritative arbiter of who should be denied a platform to speak, or even silenced by the removal of Internet services. The Racism Crisis Center will provide support in cases of discrimination, hate speech, and hate crimes against minority populations, and collect data on the growing phenomenon of racism in Israel. The center provides support to victims of all backgrounds: Arab[s], Ethiopian Jews, Russian Jews, Mizrahi Jews, asylum seekers and migrant workers, and provides services in Hebrew, Arabic, Russian, Amharic and English [my emphasis]. The first thing we notice is that apparently IRAC accepts the pernicious definition of ‘racism’ that is lately popular on the Left: racism = bigotry + privilege. According to this definition, it is impossible for a member of an oppressed group to be a racist, because no matter how bigoted oppressed individuals may be, they don’t have power to oppress. This explains the second thing that we notice in the statement above, which is that the list doesn’t include “Jews” without qualification. Since all Jews, even Mizrachi, Russian or Ethiopian Jews, have more privilege than Arabs, there is no need for a category for racism against Jews. Jews qua Jews can’t complain of racism, unless the complainant is a member of one of the oppressed groups complaining about a more privileged person or group. And no, I don’t know whether Mizrachis or Russians are more oppressed. This definition and the ideology that flows from it have created more racial hostility in the US than understanding or reconciliation. Bringing it to Israel is a terrible idea. If we look at the basic difference between the “racial issue” here and in the US, we can see how blisteringly ignorant these people are of reality in Israel and the rest of the Middle East. Without the slightest doubt, the most common, blatant and vicious manifestation of racism in the region is Muslim Arab racism toward Jews. Abbas' strategy for peace with Israel is the same as it has been for years: keep rejecting all offers until one comes along that makes him happy. Mahmoud Abbas has finally come up with his own detailed peace plan. Instead of waiting for others to present him with plans that he invariably rejects, he has shown the initiative and created a seven point plan to finally bring peace to an intractable conflict. Women who hijacked planes and murdered Israeli civilians carried out “wonderful acts of heroism,” according to a Palestinian psychologist interviewed on the official PA TV program Our Ethics. 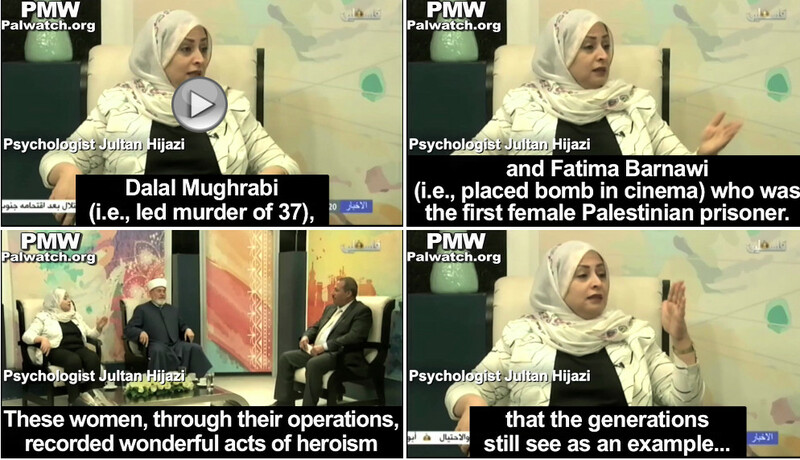 Citing the female “heroes” she felt were examples for other Palestinian women, psychologist Jultan Hijazi mentioned Laila Khaled, who participated in 2 plane hijackings, Dalal Mughrabi who led a bus hijacking and the murder of 37, Fatima Barnawi who placed a bomb in a cinema, and the “mother of Martyr Muhammad Farahat,” who led her son to his terror attack in which he murdered five young students. After citing these and other examples of Palestinian women involved in terror and murder, the Palestinian psychologist indicated their importance for youth because “women carry out a large role in the children's psychological preparation.” It seems that according to Hijazi, having murderers as role models is important for Palestinian children. ...With both interviewees in the two items coming from the anti-Israel side, the complete absence of any mention of such topics is of course hardly surprising but obviously ‘Newsday’ cannot possibly claim to have covered this story in an accurate and impartial manner that meets its public purpose of helping audiences to understand the issue. As we saw in part one of this post, on August 24th the lead story in the early edition of the BBC World Service radio programme ‘Newsday‘ related to a visit to the Middle East by a US delegation. That item presented an unchallenged, one-sided view of negotiations between Israel and the Palestinians from a former PLO employee and steered listeners towards the belief that the main issue at stake is ‘settlements’, as well as promoting partisan views of ‘international law’. ...Alpher isn't that stupid. He just gets his jollies on making people angry. He is not worth hating - he is simply too pathetic a human being. Rogel Alpher continues to troll Jews. There is no way he actually believes this stuff; he just wants to get people outraged at him so he can keep his job at Haaretz. ...You have close connections to the Palestinian people and ought to have influence on them, to preach a Christian message of love and brotherhood. Are you willing to tackle them on their destructive use of children as cannon fodder and their educational system that turns little boys and girls into Jew-hating fanatics? Will you have the humility to apologize to the Jews of Israel for your unjustified accusations, to speak with them, to meet senior officers in their military, and to learn first-hand how they work for eventual peace, however many times their efforts to bring it are thwarted by Palestinian rejection? 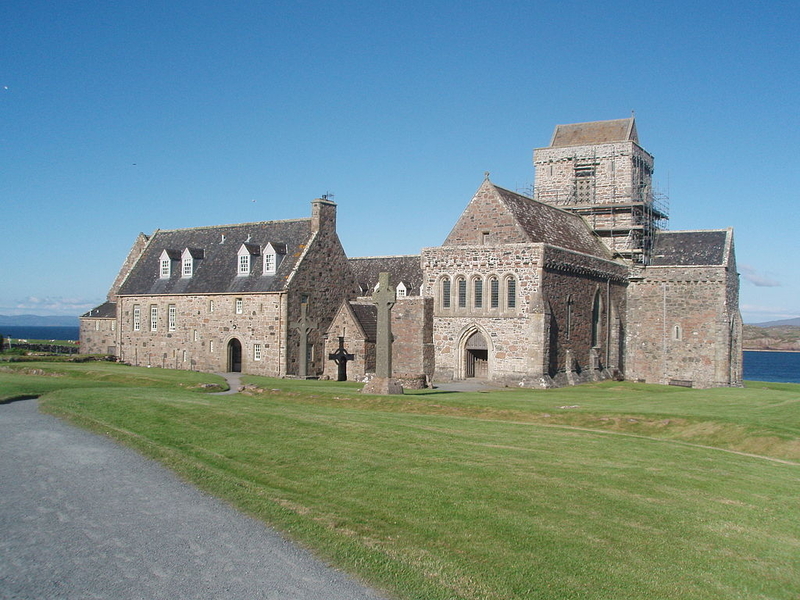 The Iona Community, about which I have written here before, is an ecumenical Christian fellowship in Scotland. 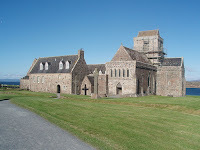 Its headquarters are in Glasgow, but its main activities take place on the island of Iona in the Inner Hebrides, which is seen as a place for spiritual retreats. It has an international reputation for preaching love, a spiritual vocation, and fellowship among Christians. To me however it is also deeply anti-Semitic through its extreme hatred for the state of Israel and its one-sided support of the Palestinian narrative – according to the definitions of the International Holocaust Remembrance Alliance (IHRA) and the US State Department. Earlier this year, Sammy Stein, chairman of Glasgow Friends of Israel, complained to the group about remarks made at a meeting addressed by Iona's Leader-Elect, Dr. Michael Marten. Marten had argued more than once that Israeli soldiers routinely and deliberately shoot Palestinian children, while knowing that they are children. In a reply to Mr. Stein, Marten and the Reverend Peter Macdonald, the community leader, asserted that Marten's statement had been true, and tried to back up their vilification by referencing a number of media and UN reports, including anti-Israel NGOs such as B'Tselem and Electric Intifada. I was asked to respond to their diatribe; the result is the letter below. Will Macdonald and Marten, take in what it says and find a more honest way to express Christian concern, not just for the children of Gaza and the West Bank, but for Jewish children murdered in their beds and at school by Palestinian terrorists? 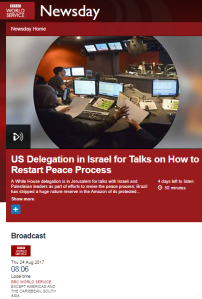 ...Clearly BBC World Service audiences listening to this item did not benefit from accurate and impartial information that would enhance their understanding of the current situation regarding US efforts to restart negotiations between Israel and the PLO or the full range of issues to be tackled in such talks. What they did hear, however, was unchallenged, politically motivated messaging from an inadequately introduced professional activist intent on persuading BBC audiences that the main – if not sole – factor of any importance in the Palestinian-Israeli conflict is ‘settlements’. Failing to provide any concrete examples to back up his claim of a “hardening of positions” on either the Israeli or Palestinian side, Pollard then signposted his interviewee’s legal qualifications, thereby encouraging listeners to regard her subsequent pronunciations on ‘international law’ as credible and accurate. He did not however inform listeners that Diana Buttu – now, among other things, a policy advisor for Al Shabaka – is a BDS supporter who thinks the Palestinian Authority should be disbanded. ...In reality, there's a glaring disproportion in coverage and prominence of the Arab-Israeli conflict in the Western media, a phenomenon documented by, among others, Virgil Hawkins in his book Stealth Conflicts: How the World's Worst Violence is Ignored. The media's Israel-obsession is likely to cultivate a mistaken understanding of the world and its violence in the minds of those who read the news. And, it seems, in the minds of those who write the news, too. According to Vox, the conflict between Israel and the Palestinians is one of the "most violent" in the world. Vox gained notoriety when it reported that Israel limits traffic on the bridge connecting the West Bank and Gaza Strip. In fact, Israel doesn't limit traffic on the bridge because the bridge doesn't exist. In this week's story about Palestinian infighting, journalist Shira Rubin writes that the battle between the Palestinian Authority and Hamas "has major stakes for one of the world’s longest-running, and most violent, political disputes." And again, 2014 was an an outlier. A year earlier, in 2013, fewer than 50 people were killed in Israeli-Palestinian fighting, less than 0.1 percent of the 70,000 killed in the rest of the world's conflicts. In 2015, there were roughly 150 killed as a result of violence in Israel, the West Bank, and the Gaza Strip, and 100,000 fatalities from conflict worldwide. You can check out PRIO's graphic of 2016's most deadly conflicts on page three of this document. 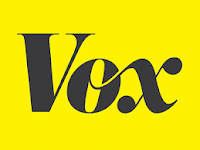 Can Vox find Israel on the chart? ... These are not the people we need to help save Israel from herself, either in our dealings with the Palestinians or our own social issues. 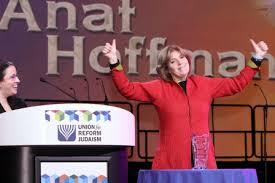 Despite her American education and connections, Anat Hoffman was born in Israel and lived most of her life here, so she should know better. But apparently she is being paid not to. If you are an Israeli, do you feel smug that the neurotic politics of political correctness and victimology that lately are so prevalent in the USA are rare in Israel? Are you pleased to think that most Israelis are not obsessed with race the way Americans are? If so, you will be sorry to hear that the folks that hijacked the Women of Wall and other internal Israeli controversies in order to depict Israel as undemocratic or worse have decided to bring the socio-political pathology of the US to our country. The Israel Religious Action Center (IRAC), created and primarily funded by the American Union for Reform Judaism (URJ) has proudly announced the establishment of a “Racism Crisis Center” in Israel. Did you know there was a crisis of racism here? I didn’t, and in fact it seems to me that racially-based conflict is much lower here than in the US and many other places. You may be shocked by that statement. Isn’t Israel the conflict capital of the world? Yes and no. Malki's killer needs to be brought to US justice. We're looking for some friends to help make this happen. ...We have campaigned to bring Tamimi to US justice since she was permitted to walk out of her Israeli prison cell. (She served just 8 years of a 16 life-terms sentence! )...We feel we are getting closer but we need wide public support. We are Frimet and Arnold Roth of Jerusalem. We produce This Ongoing War: A Blog, and we are the parents of Malki. Our daughter was one of the innocents murdered in the August 9, 2001 Hamas attack on a central Jerusalem pizzeria. 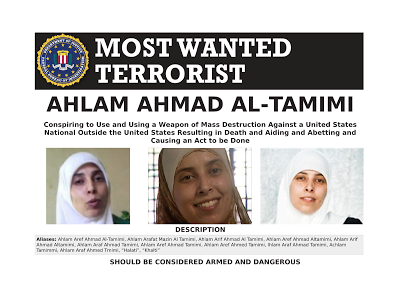 The mastermind of that atrocity is a Jordan woman, Ahlam Tamimi. Israel set her (and 1,026 other Palestinian Arab terrorists) free in the catastrophic Shalit Deal in October 2011. She has been living in her home country Jordan since then. There she is a celebrity because of her terrorism. There she enjoys patronage and protection from the king and the government. The US government announced serious Federal criminal charges against Tamimi in March 2017. It sought her immediate arrest and her extradition to stand trial in a US Federal court. Jordan immediately rebuffed the request. An extradition treaty has existed between Jordan and the US since 1995. The US authorities say it is fully in force. Jordan, which has extradited several people to the US since the treaty came into effect, says it is invalid and unconstitutional under their law. 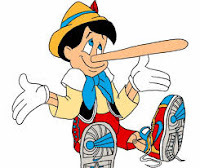 We believe strongly that their claims are insincere and untrue. Arnold was interviewed by Tamar Yonah on Israel News Talk Radio this week and explained some of the background. Click here to listen to the audio. We feel we are getting closer but we need wide public support. To help that happen, we have decided to create an email list through which we will keep supporters in the picture. We hope you will sign on. We will use it to share information that in some cases may help bring Tamimi to justice. Please fill in your contact information by clicking this link. We promise never to abuse your trust and in particular never to share your contact information with anyone. ...So — do you consider withholding part of the story as lying when the withholding leads to a false impression? I do. Now, why would Wilmer want to give this false impression? In critiquing an academic paper that was published in the journal, International Relations and Diplomacy, I found a blatant lie that made my blood boil. In another post critiquing this same article, I showed how common myths demonizing Israel have found their way into scholarly writing published in academic journals. Here I want to contest one point only. The lie is shown in bold font. I explored the organization’s website looking for material regarding the high school project. Finding nothing but old news, I called the Israeli office of the Parents Circle Family Forum and spoke with Iris Meisler, the office manager, who asserted that they are working on the website to bring it up to date and she was willing to answer my questions. ...The BBC frequently tells its audiences that ‘tensions’ in Jerusalem are caused by the belief on the part of Palestinians that Israel intends to alter the status quo on Temple Mount or even that al Aqsa mosque itself is ‘in danger’. It does not however bother to inform audiences why such baseless beliefs are so enduring and widespread and how they are nourished by incitement in the PA media and from even the highest of PA officials. Without that crucial information, BBC audiences clearly cannot properly understand the recurring story of ‘clashes’ in Jerusalem. As has been noted here on many occasions, the BBC serially avoids any serious reporting on the issue of Palestinian Authority incitement – including that relating to the sensitive issue of al Aqsa mosque. For some years now the PA has been exploiting the anniversary of an incident that took place in 1969 when a mentally ill Christian Australian tourist set fire to the mosque. 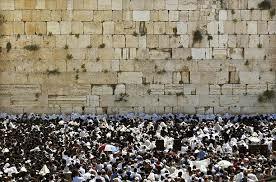 As the Times of Israel reported, this year was no exception. ...There is no other way to see this paper than as academic propaganda meant to fuel the anti-Israel BDS movement. Recognition that the entertainment/news media are propagating “fake news” makes it hard to know what news reports to believe. If the article under examination here is any indication, then it appears that academia is birthing a “fake scholarly writing” trend that will make it hard for students and anyone other than the expert to distinguish between truth and fiction in academic journals. The biggest danger is that once this kind of irresponsible drivel is published, it is common for other academic papers to cite them as academic source materials. Israel bashing in scholastic publications, then, based on distortions of the truth grows more and more legitimate. Can anyone think that an article like this is anything other than academic propaganda for the purposes of the boycott-Israel machine? 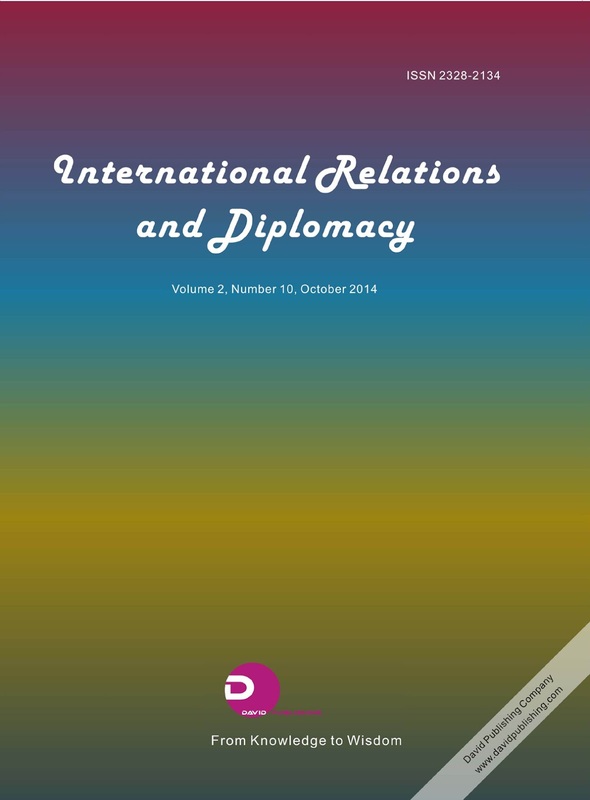 I just discovered a new article published in International Relations and Diplomacy, an apparently semi-academic journal that may hope to qualify as an academic one, however it has not yet been rated against other journals. Established in 2013, it appears to have a degree of legitimacy given that some of those listed as reviewers have positions in well recognized and respected universities. Reviewers are experts who are asked to read and evaluate the appropriateness of manuscripts submitted for potential publication. Reviewers can accept manuscripts as is or request specific changes in order to bring them to an acceptable standard, or can reject them outright. Closest to home is reviewer Prof Eyal Zisser, who serves as Vice Rector of Tel Aviv University and Chair of the Department of Contemporary History of the Middle East. Prof Zisser likely did not review the paper I am critiquing here because his field of expertise does not include the topic covered in this article. Were he to have been asked to review it, I am sure that, as an Israeli, he would have identified some of the glaring distortions presented even if he agrees with the political stance of the author (and I have no idea about his political views). I hope that he would have insisted on correcting the errors as that is what would be expected of an honest academician. As a matter of fact, I hope he would have rejected the paper entirely, although that may be considered by some to be a bit extreme. ...to American parents who might open their wallets to send young Britney or Ben to Israel, not having a clue that Achvat Amim is a subversive organization that eats its own. So, if you know any Jewish parents out there with kids of a certain age, please send this along to them. Better yet, tweet and share it on Facebook. We need to get the word out. For the sake of our children. And the sake of our people. If you were a parent contemplating where to send your child in Israel after high school for a solid Jewish experience, would you send your child to Achvat Amim? The name sounds good, from the little Hebrew you might remember—sounds like the name of a Jewish congregation, a temple. But even if you can’t quite remember what the words mean, the website tells you: Solidarity of the Nations. Well, you think to yourself, if the Israeli government co-founded Achvat Amim, it must be a good, hearty, Zionist program. You’re pretty much sold, just right on the basis of that. Because you know that everything comes down to money, and you’re pretty sure this means Achvat Amim is receiving funds from the Israeli government. What better endorsement could there be, right? 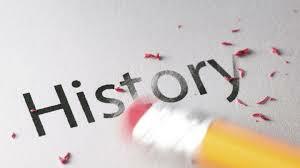 ...That inaccurate and materially misleading information is all the more troubling coming, as it does, in what claims to be a history programme. BBC Watch has submitted a complaint to the BBC World Service highlighting the need for a speedy on-air correction. 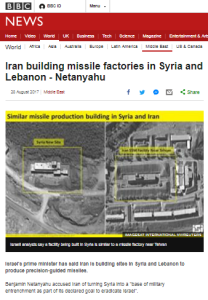 The August 7th edition of the BBC World Service radio programme ‘The History Hour’ included an item (from 26:40 here) about the Camp David Summit that had already been aired several days previously on the same station’s other history show ‘Witness’ and was discussed here. Pearson: “But before that we’re going to focus on a region which has seen tension and violence for the past 70 years. 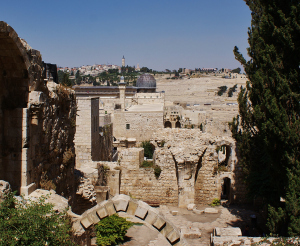 Just the phrase ‘tension in the Middle East’ has become shorthand for referencing the decades of mistrust between Jews and Arabs following the creation of the State of Israel, carved – as it was – out of land which had belonged to the Palestinians. 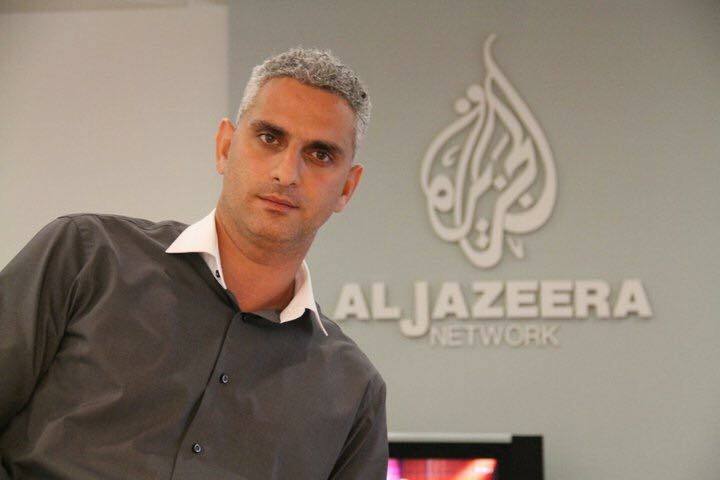 The Government Press Office held a hearing for Al Jazeera’s Israeli-Arab reporter Elias Karram. The GPO revoked Karram’s press credentials last week after an interview surfaced in which the Al Jazeera Jerusalem bureau chief said that journalists like himself sided with the Palestinians as part of their “resistance” to Israel. The hearing was essentially about whether to reinstate his accreditation. Karam said in an interview to the Muslim Brotherhood television channel Dar Al-Iman in May 2016 that “as a Palestinian journalist who is in an occupied area or a conflict area, journalistic work is an integral part of the resistance and of political and educational action. “A journalist fulfills his role in the resistance through his pen, voice or camera, because he is part of this nation and is resisting in his unique way,” he added. ...Furthermore, the prisoners and released prisoners receive a monthly allowance for themselves alone, not for their families, and its level increases in direct proportion to the length of their sentence, which obviously reflects the severity of the crime for which they are serving time. 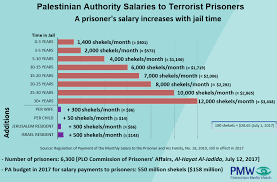 Thus, the highest payments go to prisoners who are responsible for terror operations in which people were killed (above NIS 12,000 monthly). Likewise, released prisoners who were incarcerated for over a decade also receive monthly salaries. Inquiry & Analysis Series No.1327.. Following the passage of legislation in the U.S. Senate suspending aid to the Palestinian Authority (PA) because of the PA's extensive support for Palestinian prisoners and the families of Palestinian "martyrs" and wounded, it is being claimed in the PA that the payments and aid given to the prisoners and the families of martyrs are the same as welfare benefits given to needy families. This argument is based on the reasoning that in both cases, the family wage earner cannot work and the family is reliant on aid. However, a look at the payments to the Palestinian incarcerated and released prisoners and their families, and to families of martyrs and wounded clearly shows that these payments are in no way comparable to welfare allowances such as those provided to needy families. I visited Hevron in November 2000 after the outbreak of the Rosh Hashanah War to see what could be done to assist in the face of the growing daily attacks on the community. After returning to work for the community in the summer of 2001, a bond and a love was forged that grows to this day. My wife Melody and I merited to be married at Ma'arat HaMachpela and now host visitors from throughout the world every Shabbat as well as during the week. Our goal, "Time to come Home!"